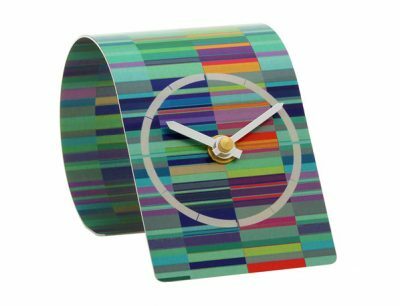 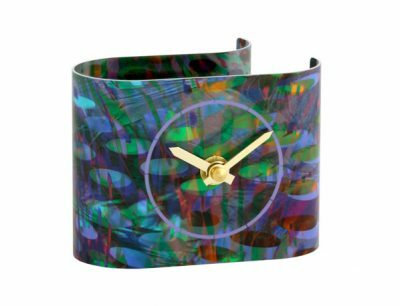 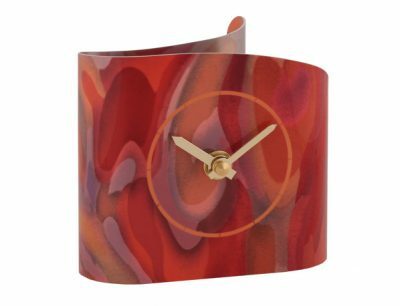 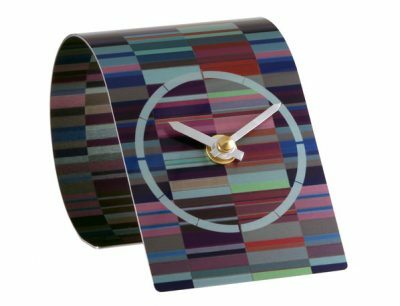 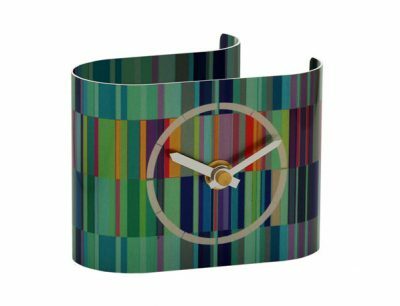 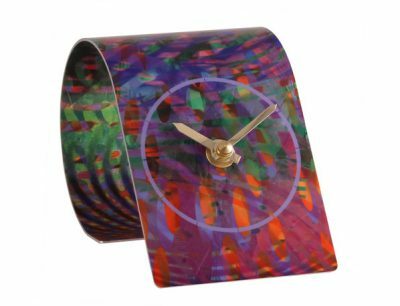 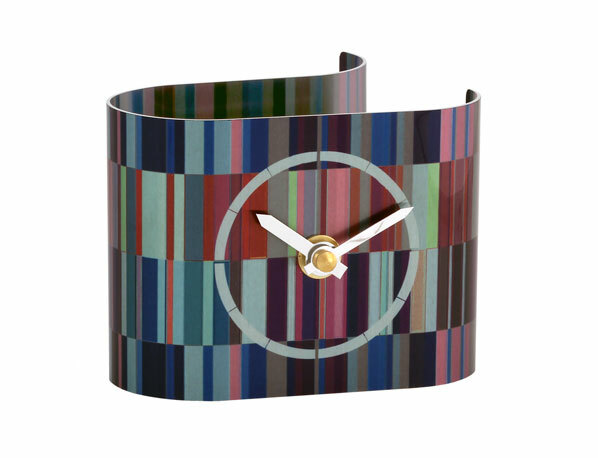 Blocks of multicoloured bands interact across every surface of this hand-made desk clock, resulting in a bold geometric pattern giving a silvery sheen to the surface. 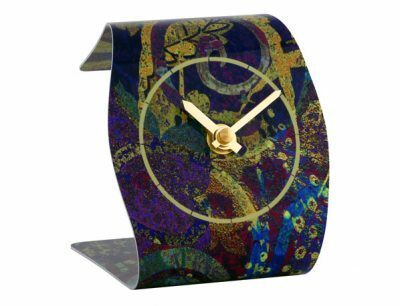 This is continued on the reverse of the clock to give a complete appearance and distinctive look. 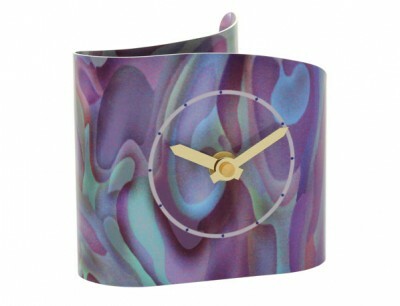 Also available in Tessellate Blue.